Research shows that hypertension causes damage to the brain among people even in their thirties and forties. Researchers from UC Davis Alzheimer’s Disease Center found individuals’ brains, no matter what their age, were significantly less healthy if they had high blood pressure. On average, hypertension causes the brain to age about seven years, so the brain of a typical 33-year-old with high blood pressure, for example, looks like the brain of a typical 40-year-old with normal blood pressure. The study, published in 2012 in Lancet Neurology, found accelerated brain aging in those who had hypertension (blood pressure over 140/90 mm Hg) and also among people in their 40’s who had prehypertension (blood pressure from 130-139/80-89 mm Hg). The type of damage to the brain was identified as the same type that leads to cognitive decline and dementia: damage to the structural integrity of the brain’s white matter and the volume of its gray matter. 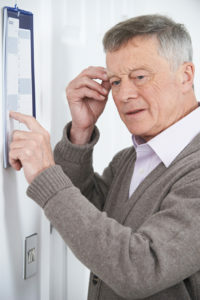 While gray matter volume and white matter integrity both decline with age, the study found that hypertension causes these indicators of brain aging become more pronounced at any age. Hypertension causes arteries to stiffen, thus making the blood flowing to the brain pulse more strongly. Usually occurring insidiously over long periods of time, this stresses the blood vessels of the brain, likely making it more difficult for them to nourish brain tissue. The purpose of the study was to determine the effects of high blood pressure on cognitive decline using 579 participants from the Framingham study, an observational study of the cardiovascular health of the residents of Framingham, Mass., that began more than 60 years ago and is now in its third generation of participants. When the study launched in 2009 the participants averaged 39 years of age and they were organized into groups with normal blood pressure, those who were prehypertensive and those with high blood pressure. Magnetic resonance imaging (MRI) determined the participants’ brain health by measuring white matter injury and grey matter volume. A sophisticated type of MRI study called diffusion tensor imaging was also used to look at microscopic details of white matter brain tissue including the axons, the biological “wires” of the brain that carry information from one part of the brain to the other. Once all imaging studies were combined, the researchers create a global measurement of brain health that compared normal subject to those with hypertension. The results showed that in those with high blood pressure, the axons in the white matter of the frontal lobes were less intact and grey matter volume was decreased by an average of 9% in the frontal and temporal lobes. Study results indicated that by age 40, the brain of a person with high blood pressure of 140/90 mm Hg, looks 7.2 years older than the brain of a person with normal blood pressure. The study revealed another startling finding: even the brains of middle-aged people who clinically would not be considered to have hypertension show evidence of silent structural brain damage. So it’s not just those with clinical hypertension who have to worry; UC Davis researchers saw changes in brain structure among people with normal blood-pressure readings (in the prehypertension range). A 40-year-old with prehypertension had a brain that looked more like that of a 43-year-old. Although these findings are consistent with previous research that shows hypertension causes brain damage, this is the first study to strongly suggest that blood pressure doesn’t have to be officially high (greater than 140/90 mm Hg) to pose a danger to the brain. It’s also the first study to show that the damaging effects of elevated blood pressure on the brain appear to set in much earlier in life than has been widely appreciated. The same kind of structural injuries have been linked to cognitive decline and increased risk of dementia among elderly people in other studies, but this study found the association among those in just their 30s and 40s. The fact that an adult in his thirties with blood pressure that’s even a little high is risking damage to his brain that may be evident by age 40 suggests that we need to be more aware of our blood pressure at younger ages. Both doctors and patients alike should act sooner and more aggressively to control blood pressure as it begins to creep up in early middle age. Lifestyle changes and other natural therapies are the number one recommended therapy for mildly elevated blood pressure at any age. It’s never too late to start working on blood pressure control and protecting the brain from damage. See our articles for more science-based recommendations on natural remedies for high blood pressure and cognitive decline. See also: High Blood Pressure Raises Risk of Alzheimer’s and Dementia Symptoms. Maillard P, Seshadri S, et al. Effects of systolic blood pressure on white-matter integrity in young adults in the Framingham Heart Study: a cross-sectional study. The Lancet Neurology, Volume 11, Issue 12, Pages 1039 – 1047, December 2012. 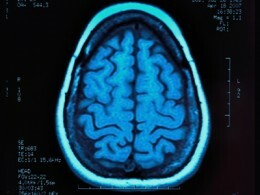 High blood pressure damages the brain in early middle age. UC Davis Health System Newsroom. October 31, 2012.
aging, alzheimer, blood pressure, blood pressure control, blood pressure readings, brain, brain damage, brain health, cardiovascular, cardiovascular health, cognitive decline, control blood pressure, dementia, dementia symptoms, elevated blood pressure, for high blood pressure, health, high blood pressure, high blood pressure and, hypertension, hypertension blood pressure, long periods, natural remedies, natural remedies for, natural remedies for high blood pressure, natural therapies, normal blood pressure readings, prehypertension, remedies for high blood pressure, systolic blood pressure.